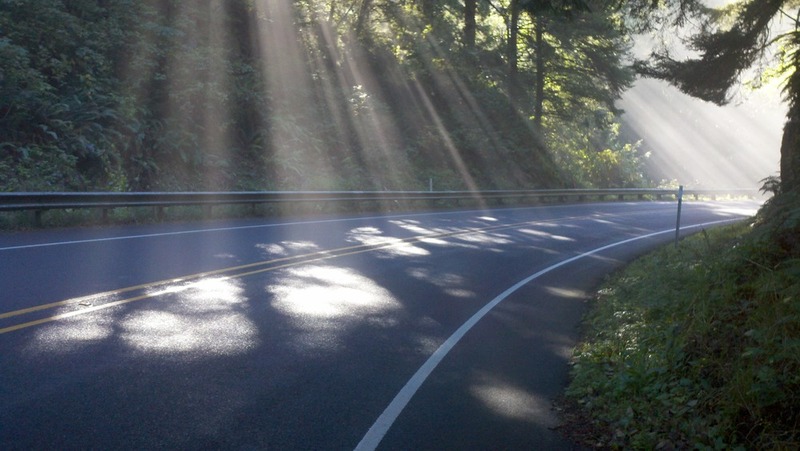 A cool morning, mist breaking to reveal clear blues skies. 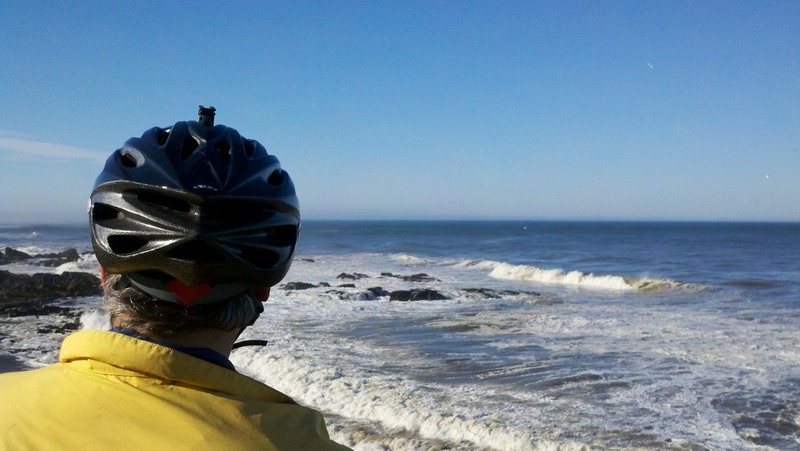 We rode a relaxing pace, noodling down the coast. 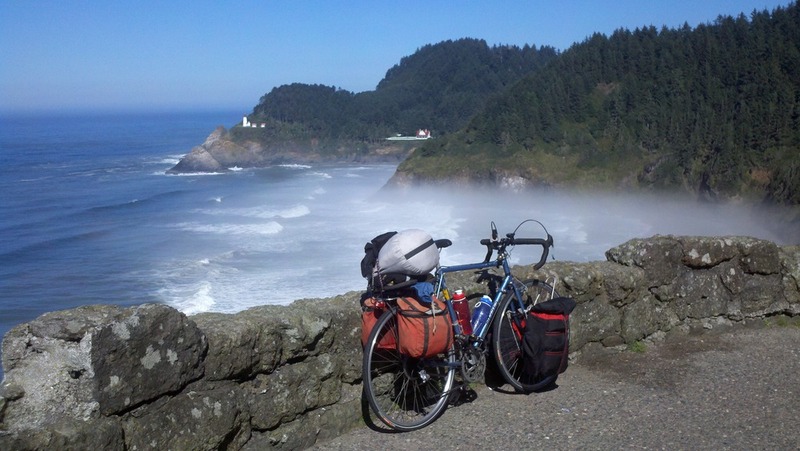 Breakfast at the Green Salmon, a climb over Cape Perpetua, surf crashing below. 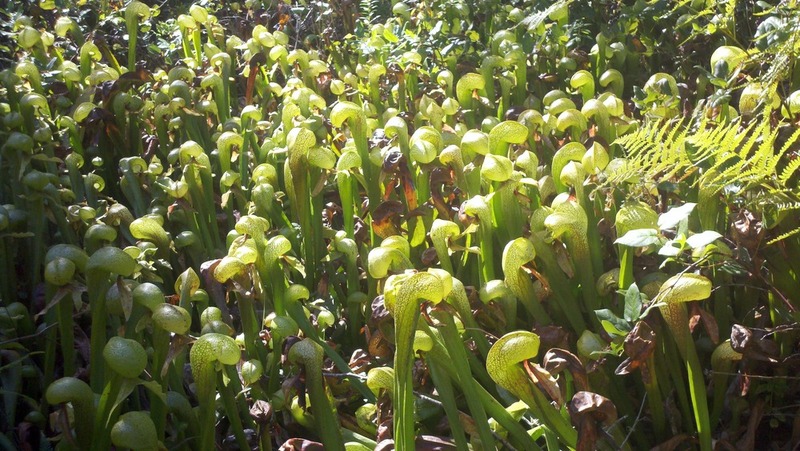 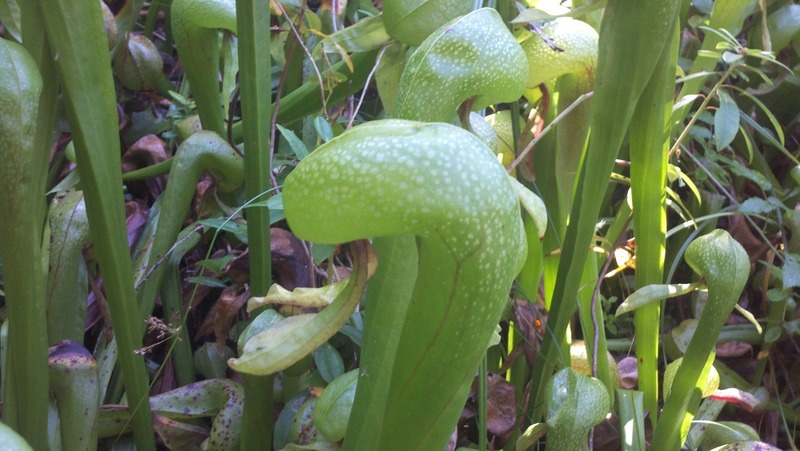 An exciting blast through Heceta Head‘s “Tunnel of Terror“ then sailing over the last large hill down to see the carniverous Cobra Lillies at Darlingtonia Wayside.